Dactylorhiza sambucina‘s South and Central Europe mountain areas, in Sweden, in Finland only in Åland and is rare in Denmark. 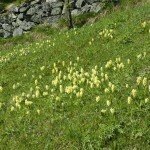 In Norway nature a limited distribution in southern Buskerud, Telemark and Aust-Agder, it’s up to 1000 meters above sea level and is Telemark county flower. Chromosome Numbers 2n = 40 (42). Not native to the UK. 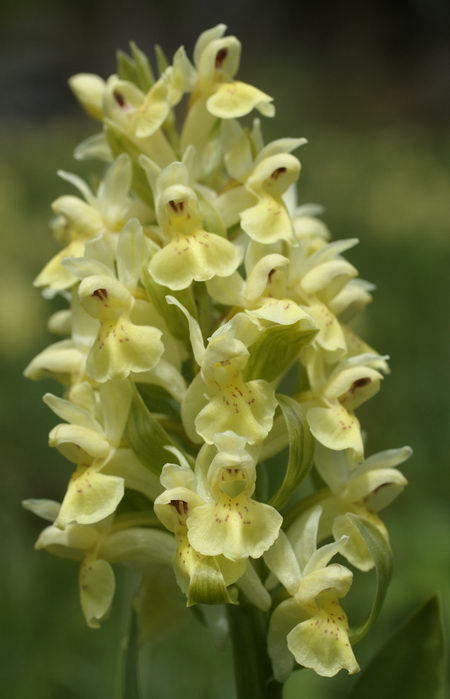 Linnaeus named this species the first time in 1753 to Orchis latifolia, and the second time in 1755, he gave the plant the name Orchis sambucina. There are many examples where a plant has been named several times, but not by the same person. Here comes the latest art epithet sambucina which is not really in line with the current nomenclature there initially given the species epithet should apply. But the original to Linnaeus show he gave three plants art epithet latifolia, thus it is forbidden to avoid naming confusions. But one may still find epithet latifolia used in encyclopedias about sambucina. In Sweden the plant Adam and Eve that caused two color variations. One is yellow and the other red, and both blooms side by side. 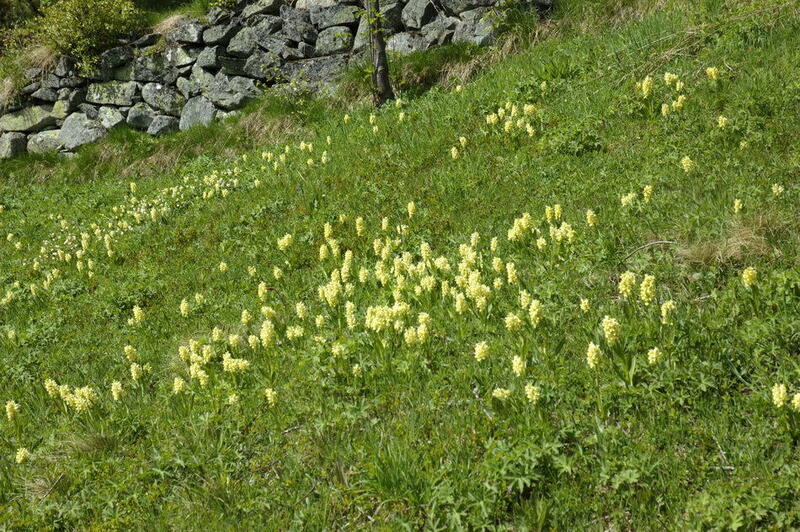 In Norway Dactylorhiza sambucina only with yellow flowers. Dactylorhiza sambucina depending on silicates in the rock, and is a relatively low plant that grows up to 25 cm high. There is nevertheless a sharp orchids with a plurality of long oval leaves which are collected at the bottom of the stem. Upwards have stems that are narrower and shorter leaves. All leaves are spotless, and the inflorescence is short with many whimsical flowers. 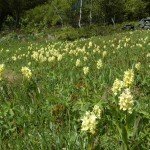 Plants bloom very early and can bloom as early as the beginning of May in lower altitudes. 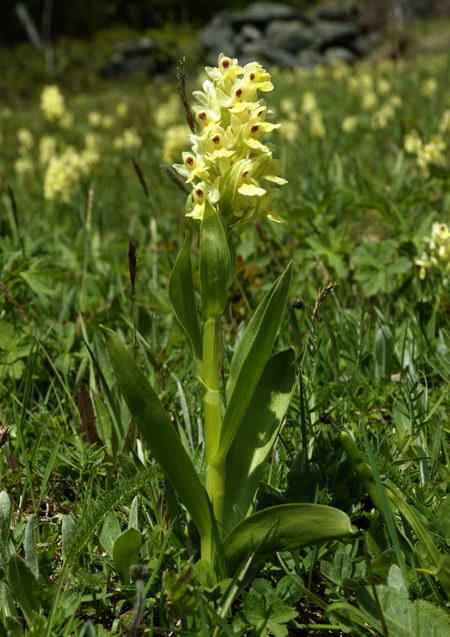 Dactylorhiza sambucina exist in its natural habitat really only the bright, open places in the woods and preferably steep slopes with screes. The plant is a highly light-demanding orchid that will quickly disappear if it gets too little light. This orchid is a good representative of orchids that greatly benefits from human activities like farming driven the old way with grazing of farm animals’ inputs and uncultivated land and cutting cultivated land with a scythe. The species is currently taken care of by the old cultivated land and natural meadows can only be cut at the old way. 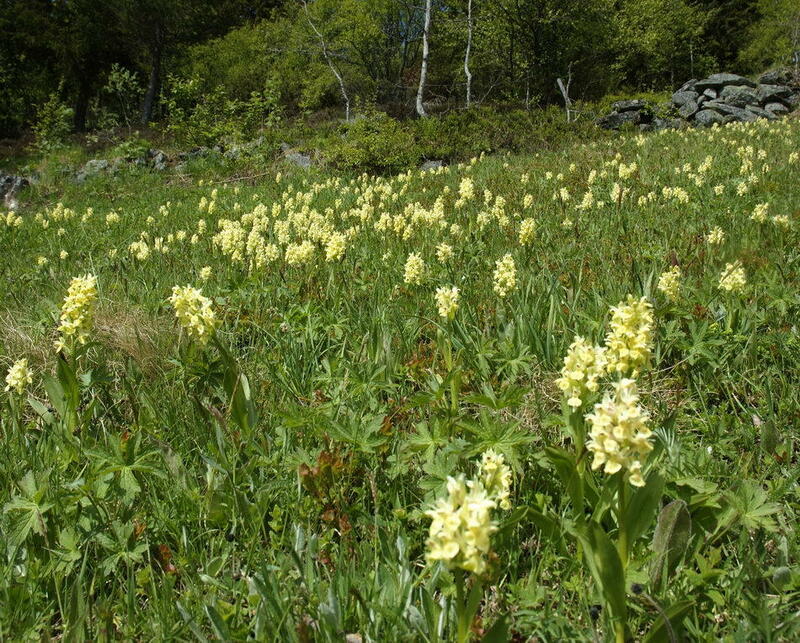 Dactylorhiza sambucina is protected under the Nature Diversity Act and are as vulnerable on the Norwegian Red List.